Sponsor: Every year there is a special place, on a lake in New Hampshire, where people gather to explore their creativity, healing and community. This place is called Squam. Behind this goodness is one remarkable woman by the name of Elizabeth Duvivier, someone who’s sought out to find her path and enlightenment in this creative world, bringing souls together and taking just as much away from each experience as those who attend. 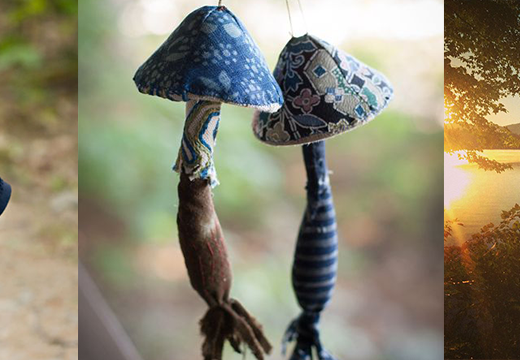 The Spring Squam retreat is taking place this June, complete with twinkle lights, generous teachers, sweet walks through the woods, vintage cottages, laughter on the dock, some very incredible workshops and ending with the Squam Art Fair and Ravelry Reverly. Join classes with incredible fiber folks like Gudrun Johnston, Kate Atherley, Andrea Rangel, Kristine Vejar, and Mary Jane Mucklestone to name just a few. And there is still time to register and make your travel plans to attend this June retreat, so visit squamartworkshops.com for more info on this incredible retreat and to register. 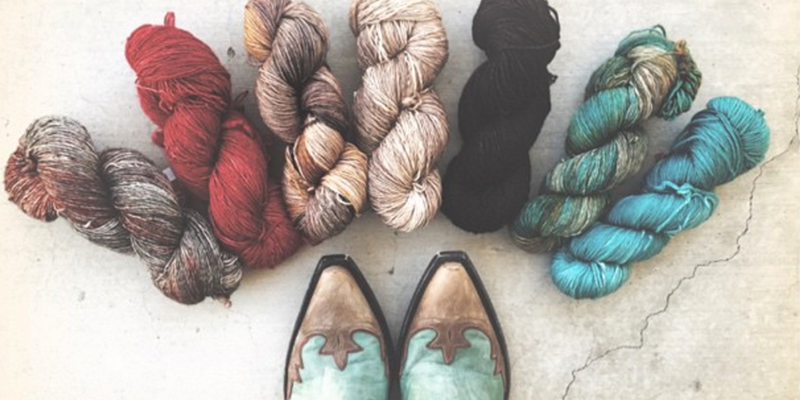 Fiber folk: Romi Hill first caught my attention on Instagram a few years ago when I came across of photo of her cowboy boots paired with some beautiful yarn. As time went on became more and more fascinated with this seemingly extensive cowboy boots collection and even more so with her incredible knack for composition and color theory and of course, knitwear designs. Lace knitting has always appeared intimidating to me, but seeing Romi’s designs come to life has been an increasing temptation and getting to know her more, and her sweet spirit has only been even more encouraging. I hope you enjoy getting to know this amazing woman and the story behind all she does, as much as I have. 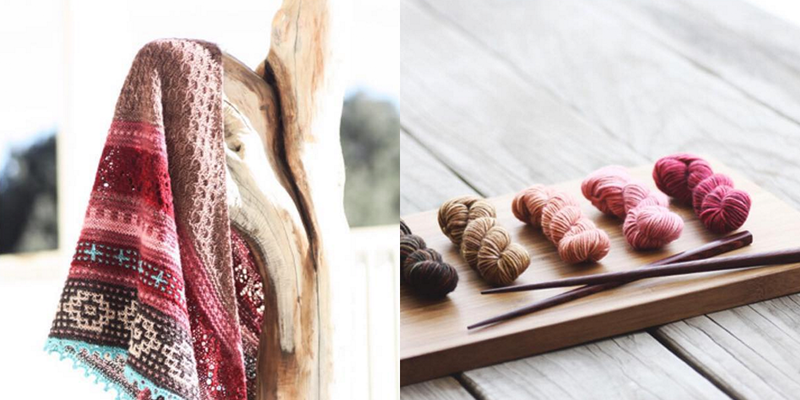 You can find Romi at designsbyromi.com, her latest book “New Lace Knitting” and patterns on Ravelry and on Instagram @romidesigns. Giveaway: The winner of last weeks giveaway is Mary Moury, you’ve won the West Water Tunic pattern from Squam, designed by Samantha Lamb and a $30 gift card towards fabric at Fancy Tiger Crafts. Congratulations! 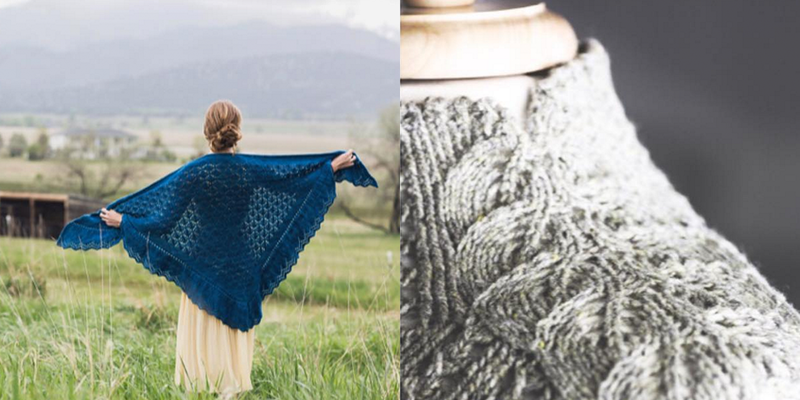 The giveaway this week is sponsored by Romi Hill and Elemental Affects and they’re giving away a Mayhaps Shawl kit, which includes Romi’s beautiful Shetland Hap inspired shawl along with the Elemental Affects Shetland Rustic lace yarn to complete the pattern. To enter, leave a comment on this blog post. Loved this episode. And the cowboy boots! thanks for creating this wonderful opportunity to learn. Just finished listening to the Squam podcast with Elizabeth… and now can’t wait to hear all about Romi Hill. 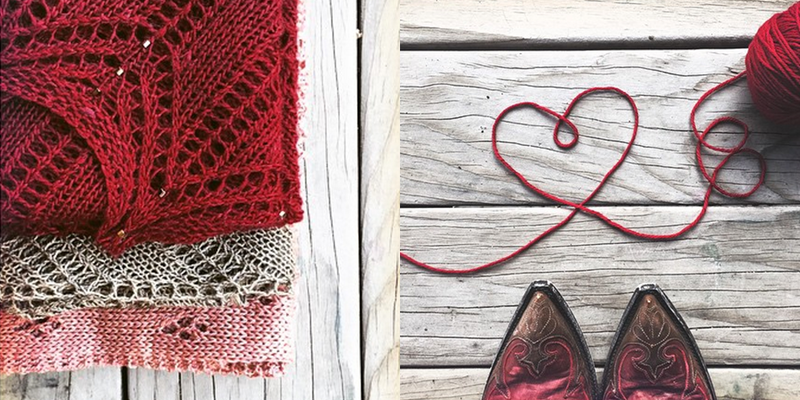 Yarn and cowboy boots, what a great combination!! And that shawl is gorgeous. Thank you for you podcast too – it cheers me up on my commute to the city. I love this episode! It has inspired me to try my hand at knitting a shawl! What a wonderful designer! Love Romi Hill designs, they are always clear and well charted. Loved this episode. I’m so glad I had the opportunity to “meet” Romi! I love her patterns and it was wonderful to get to know the person behind the designs. Loved listening once again. Thank you Romi ! Friday evening could not have gotten any more perfect – new Woolful podcast! Woo-hoo! Your guests are always so inspiring!! Thank you for brightening my days with your intuitive discussions, you know how to bring out the best in people and show their gifts!! OK I am off to buy another pair of boots, or at least browse a bit! I can’t say enough about Romi. I love her and all her designs!! I have made many of them. I have done all of her MKALs and I can’t say enough wonderful things about her and her amazing group on Ravelry. It was so wonderful to hear her voice! Since I have been knitting her patterns for years it is so fun to put a voice with the patterns. Also a funny side note is no one knows how to pronounce her name correctly! So it was so great to hear it here on your wonderful podcast. You absolutely need to try her patterns. What I love most about her patterns is that I learn something new every time I knit them. ps- If you curse and complain about any of the hard parts of lace work….. it will totally be forgotten after the thousands of compliments you will get when they are done! You won’t wear anything prouder!!!! Listening to this episode really put me in the mood to knit a lace shawl — perhaps an excuse for a new cast-on this weekend? I just discovered your podcast a couple of weeks ago and am intent on listening to every one! I loved hearing Romi’s story and am also a big fan of both fiber and boots! Really enjoyed listening and really love Romi’s designs!!! This spring I blocked my first thing (ever): early handspun shawl – Nurmilintu. EYES OPEN! (omg) So hooked. 🙂 Just enough lace with many rows of garter to “rest” before more lace. Lace pattern books calling my name for more epic challenge ahead. I loved this episode! And now I can’t wait to get New Lace Knitting … I’ve been wanting to do some lace shawls but find so many of them impractical. I live in a rural area and need both warmth and practicality, I don’t always want something that’s just decorative. Lovely interview, thanks! Though I do wish you’d asked her about music school! A great podcast. I’ve been a big fan of Romi for a number of years now and continue to be awed by her creativity. 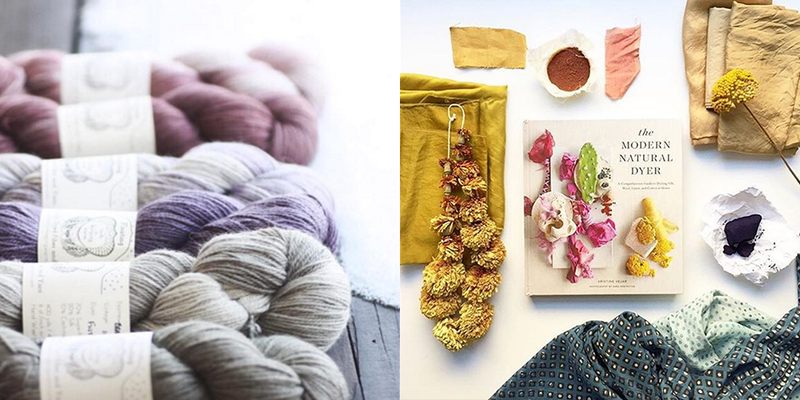 My favorite part of the Woolful podcast is discovering new-to-me designers, especially when they have Instagram feeds as beautiful as Romi’s! Can’t wait to try one of her beautiful shawl patterns. Oooohhhh, I love Romi’s patterns, and have been wanting to knit this style of shawl for a while now. Jut gorgeous!! Thank you for another wonderful episode. Another wonderful podcast. I enjoyed learning about Romi’s history and her boot collection. I love the approach of everyday lace, so nice to enjoy it without keeping it for fancy. Thanks! I have just started a hap class and think I’m going to be addicted, so would love to win! Thank you! I very much enjoyed hearing Romi’s story. I have many of her patterns (and her book) and am currently working through the border of her latest mystery shawl. Thanks for having her on! Wonderful interview with Romi, I especially loved to be able to listen to her while I knit on one of her upcoming patterns. So excited to learn that she’s working on a new sweater design! Romi is one of my favorite designers to knit. This was wonderful to hear her story! I’m always glad to see a new Woolful podcast on my list. What a delight to meet Romi this week and hear the story behind her book. I love lace knitting and hope to make more time for it in the future. Another great episode!! I loved hearing Romi Hill and I have knit two of her patterns. Thank you for wonderful content! Listening to Romi talk about lace knitting is inspiring. A shawl worn with jeans, a pair of cowboy boots, not put in a drawer for a special occasion. I love it! I’m going to give it a go. Thank you! Interesting interview… and pretty boots! Since Idaho and Nevada are neighbor states I think of Romi as a neighbor. Really, I wish she was my neighbor! Thank you for another great episode. Thank you for doing this interview. I can’t wait to listen. It sounds wonderful! Another great episode. Thank you! I’m looking forward to finding a little down time to listen to this. I remember first coming across Romi’s patterns in Knitty.. Can’t wait to hear her journey! The Mayhaps is beautiful. Would love to knit it! This is the first fiber podcast I have ever listened to. Well done! I love Romi’s designs. Thanks for another wonderful podcast and the terrific give-away! I’ve been getting to be a Romi fan, even though I’ve only knit one of her patterns so far. The owner of my LYS was knitting Romi’s latest mystery KAL last time I was there. 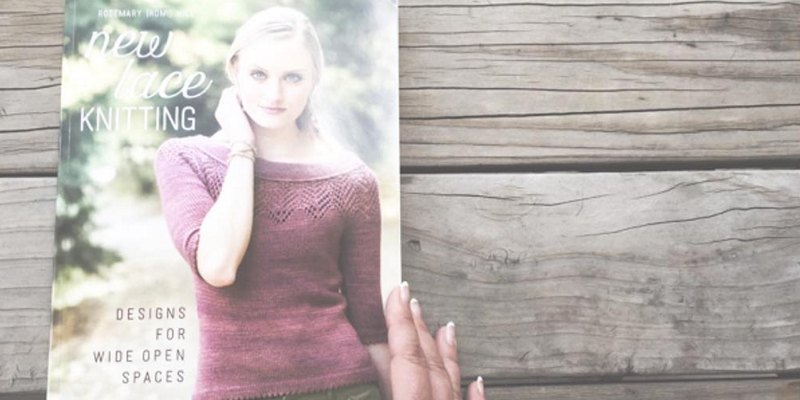 She said she usually doesn’t knit mystery KALs–but she trusts Romi. I got a little behind on woolful, so I’m playing catch-up. Can’t wait to listen to this episode! Great episode! I haven’t knit one of Romi’s patterns yet, but I hope to soon! Such beautiful designs! Enjoyed hearing about Romi’s design process. Thank you! Wow, didn’t think I could love Romi more, but really enjoyed hearing her story. What a great podcast! Enjoyed hearing about her process. I’m excited to check out her new book. 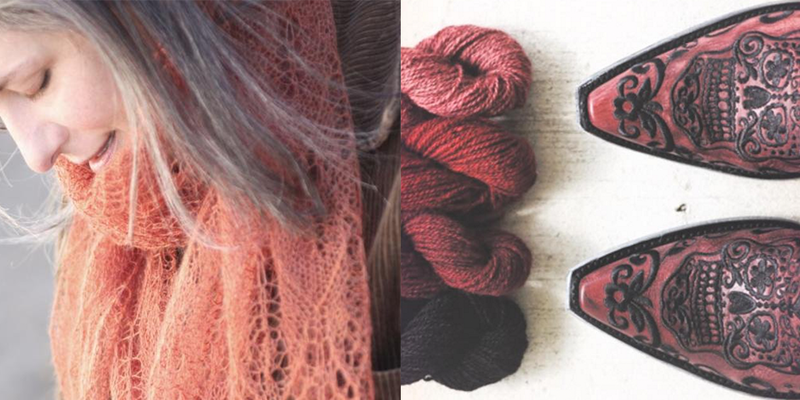 Beautiful shawl and wool, love Romi’s designs, especially Brandywine and Muir. Great episode. Thank you. 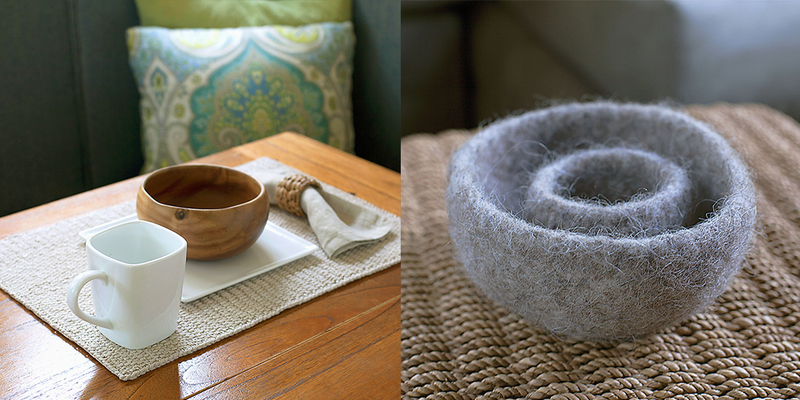 Love that rustic wool – it would make a beautiful shawl. I love lace so much and Romi’s shawl are amazing. I remember seeing the collaboration she did with Miss Babs and it took my breath away and I really wished I had the money to buy the kit that time. Enjoyed Romi’s interview and love her designs. Thank you for another great episode. It was great to hear from Romi Hill. I loved the podcast. I am tempted to try lace knitting now! Such an inspiring episode! Thank you!! I’ve been a big fan of Romi’s designs for a long time–it was great to hear more about her journey. Thank you as always! Love those boots in the photos! Such an inspiration to lace knitting – makes me want to give it try after listening to this episode! I haven’t ventured into lace knitting yet, but I might need to try! Thanks for another lovely episode! What a lovely, relaxed interview. Thank you. I love following Romi on IG. I have never been a big fan of cowboy boots but she could make me a convert. I have knit one of Romi’s patterns twice and it is lovely. I plan on knitting more. Wonderful interview, I love hearing about other peoples journeys through their career. Thank you for the great questions and thoughtful answers. Great interview. Love Romi’s patterns. Plan to knit from the book next month. Great interview! I look forward to using some of Romi’s advice for choosing the right yarn for lace. loved hearing about Romi this week! And love shetland, love shawls, love lace! Great episode, she is one of my favorite designers! 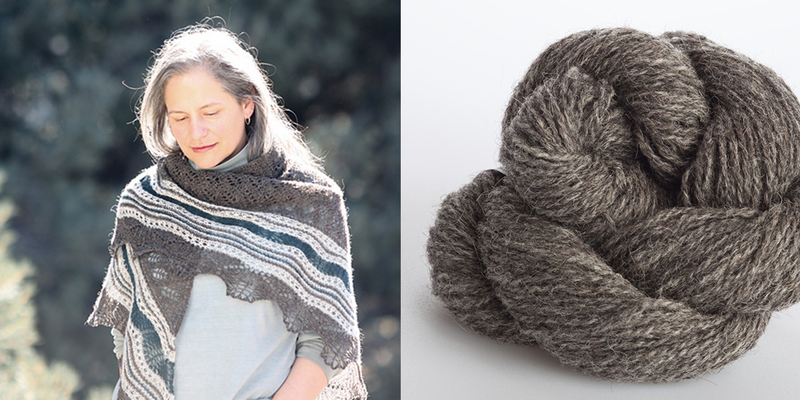 I have been planning to knit the squall line shawl ever since I first saw a picture of it! Love Romi Hill designs! amazing episode! 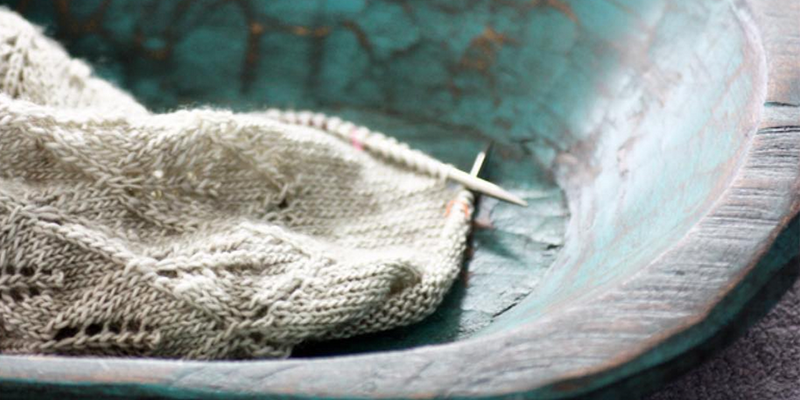 Beautiful knitting and photos. Makes me want to better my skills and learn how to knit details! Interesting interview with Romi, thanks! But I was completely distracted by the blog post below about your lamb drowning, sad lesson learned. Love boots and lace….I am an avid lace knitter, so this just captured my heart…. Now I need to buy cowboy boots! Stunning. I’ve never heard an interview with Romi before, and it was delightful. I’m usually not a fan of shawls, but I love the Mayhap! Great episode! Thanks so much. I love the learning and relationship focus each podcast …thank you!!! I just love Romi’s designs (and her boots!). It was great to hear about her journey and how she got started. I would have never guessed she came from a crochet family. Thanks for the lovely interview with Romi, it was my first time listening to you and it was a good introduction to you! Thank you for another wonderful Woolful episode. Each week, I squirrel away a bit of quite time to listen without distraction as I want to soak up every bit of goodness. I placed Romi’s new book on hold at my library and look forward to challenging myself and learning a new knitting skill. I am so glad to hear about Romi’s evolution as a designer. 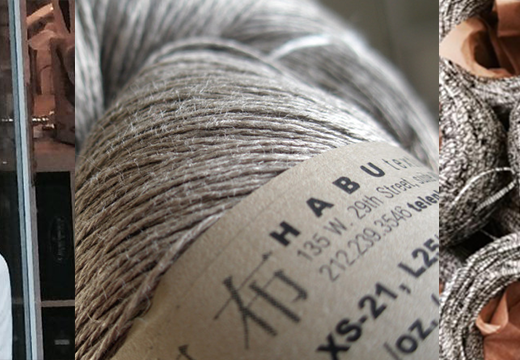 I would love to hear more of the knitty gritty details of being a designer or fiber person, in the future! Lovely blues and greys in that shawl! love Romi’s design! Beautiful photographs! Another wonderful episode! Love Romi’s designs! Thank you for all the effort you put into these great podcasts. Another great informative podcast., Thank You! Ooh! That is just beautiful! Would love to win. 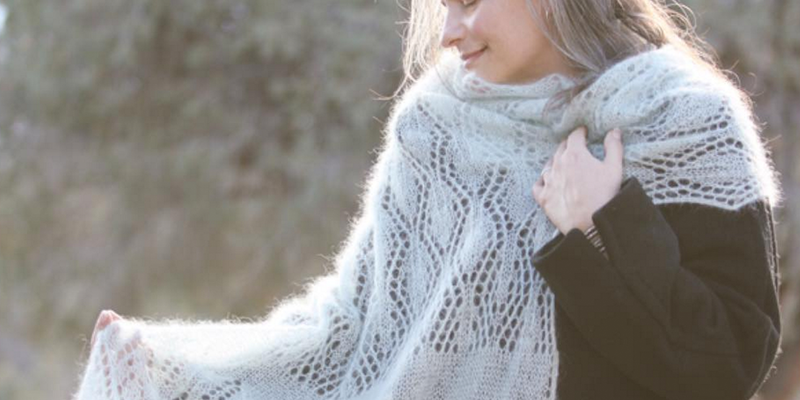 Love the idea of a Romi Hap Shawl! Catching up on my loaded podcast playlist this week, and these last two episodes have been so delightful. Thank you so much! I wouldn’t have associated Romi’s voice to my image of her, LOL. thanks for another great episode. I have one well worn pair of cowboy boots that I love, but Romi’s collection is one I’d love to see. I’m inspired to give lace knitting a go this summer. I may need to work up to Romi’s designs. They’re so pretty. Always such wonderful people! So much joy! Thank you for all you do to create this podcast! Wonderful episode with Romi! Being raised in the northwest mountains (born & bred Idahoan girl and loving every moment of it) I enjoyed hearing about Romi’s love of the high desert areas. Thanks for the chance to win this lovely prize! 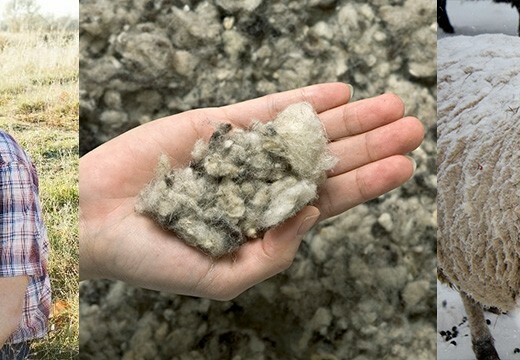 Happy fibre crafting! I loved this episode! Romi seems so nice and genuine. Enjoyed listening while on a run–thanks for that! Rome’s patterns are always beautiful and well written. Now I want to knit more…. I’m very excited to hear Romi’s story! I’d love to go to Squam one day. Romi, kudos to you on navigating through your way through the many challenges of your journey so far and on finding your true voice and confidence. Sorry, wrong podcast. This comment is meant for Elizabeth Duvivier’s podcast.